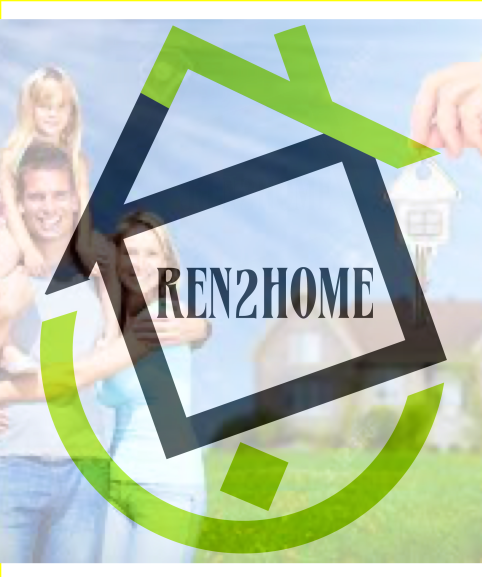 "The New Way To Buy Your Home"
Ren2Home is dedicated to providing Families and Individuals with a fair and transparent path to homeownership outside the cumbersome traditional mortgage process. We work with our customers to help accumulate credits for the down payment and improve their credit quality for the ultimate home purchase through our unique and helpful strategy. We have created a simple, seamless and easy to understand process where you select the home, we buy it; and we sign a lease purchase agreement with you to buy the home in the future. The goal is to get you in the home of your choice within 30 days. While the typical landlord does not report your positive payment history to credit bureaus; We do! This way our customers are improving the likelihood of not only improving their credit score but also move closer to qualifying for a mortgage at a good rate in the future. ​We give you 5 years to save and plan for the purchase while you live in the home of your choice with no rent increases EVER or fear of having a landlord tell you that your Family must move because they decided to sell the home. You can exercise your Purchase agreement at any time and even sell the home if you like. For example, assume you signed the Lease Purchase for $150,000 when you moved in and 2 1/2 years later the market price of the home is $200,000. You could tell us you want us to offer the home for sale. Your exercise price at this point would be $161,534, plus you will have built up Purchase Credits of $6210 to use at closing. There are fees and closing costs of course, but that profit is yours and paid at the sale. As a very rough estimate figure 7-9% for closing costs. In most cases, our Point9 Plan will work as an estimate of your monthly payment. Very simply: Use the price of the desired home and multiply that number by .9%... In an effort to save for your eventual purchase, 10% of your monthly lease payment and your initiation fee are reserved as "purchase credits" for you to use at closing.